It’s every business owner’s worst nightmare: Their data is hacked and sensitive documents fall into the unauthorized hands of those who would use it for ill. There have been several high profile cases in recent years where sensitive information has been leaked—either client information or information on the company itself. These leaks have led an increasing number of companies to look for a more secure way to store sensitive data. The solution? 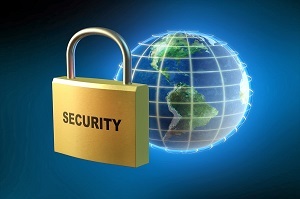 Maximum-security data room services like AppFolio SecureDocs. SecureDocs protects data in both the physical world and the digital one. Firstly, it safeguards the location where data is stored by using multiple state-of-the-art data centers that are secured 24/7 every day of the year. Advanced access controls and surveillance systems prevent anyone other than authorized personnel from gaining access to those facilities, all of which are SAS 70 certified. Servers are housed in locking cabinets, cages and suites that require electronic keycards, pin codes and scans to access. Secondly, it protects the data digitally with full strength encryption—the level of encryption used at SecureDocs is AES (Advanced Encryption Standard) 256-bit data encryption, which is certified for use by the U.S. government for top-secret documents. Multi-factor authentication, permission-based user roles and access audit logs are among the many user features that help ensure only those people who users allow to access their documents ever see them. Just as it is important for companies to back up their data so nothing is lost, SecureDocs combines the safeguards mentioned above with a redundant infrastructure to ensure the highest possible levels of service availability. Each facility has fully redundant power and HVAC, as well as fire-threat detection and suppression systems. These are set up so that should any one component fail, the service is automatically re-routed. Any unusual condition triggers an alert that is sent to engineering staff, who can then make sure the issue never impacts customers. All of this ensures that customers of SecureDocs enjoy 99.99% uptime—so that whenever, wherever they need access to their data, it’s there.